Somewhat guiltily I must admit that I haven’t read The Hunger Games. That’s awful of me, I know, but it now puts me in a (somewhat) unique position of being able to review it in the hindsight of what a hit series it has become. 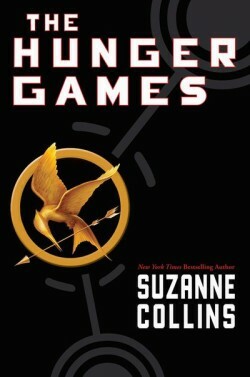 There is no doubt that my expectations for The Hunger Games were high, and why shouldn’t they be? They’ve received a cult status in the book world, being heralded as the new Twilight, the new Harry Potter, the new whatever, and the film that’s being released next year has only helped to bring more excitement to the series. I’ve heard people gushing, declaring their passions and verdicts for this series, which includes the sequels Catching Fire and Mockingjay. So did The Hunger Games eclipse those expectations? Yes and no. 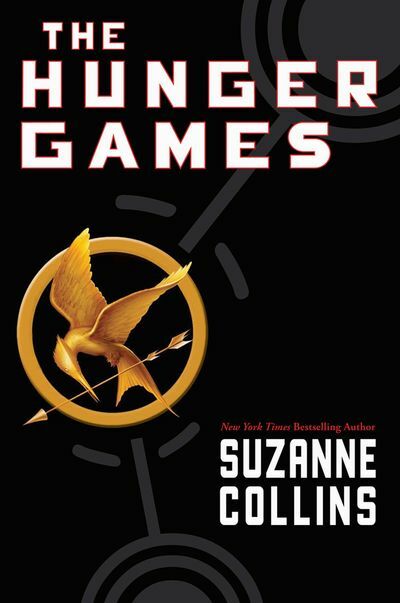 There’s no doubt that Suzanne Collins has created a fascinating world that is remarkably reflective of reality TV. For many this will be the centrepiece of enjoyment, with Collins’ interesting spin on the 1984-esque controlled society and dystopia in the wake of the rebellion of the Districts. It’s very hard to be unique in any creative medium, but Suzanne Collins manages to spin a new tale on the whole fighting-to-the-death gladiatorial combat scene. Collins’ characters are admirable: Katniss the vicious, confused heroin and her male counterpart, the rather sheltered Peeta who doesn’t really quite know how to defend himself but wins the crowds over better than anyone else. Particularly thrilling was their budding relationship, particularly on Katniss’ side (it’s obvious from the outset that Peeta is madly in love with her), and I can’t help but wonder if Collins couldn’t have focussed on it a little more rather than trying to cultivate a Twilight-esque love triangle with Gale that plagues the last third of the novel. Certainly, it would have been far more interesting and original to focus on the mixed emotions of having to play the hopelessly in-love couple whilst wondering what your actual feelings are for the boy you are being forced into loving. Still, the romance is teasing, and Collins knows how to pull your heart strings, namely by drip-feeding the lovey-dovey stuff rather than dumping it all on the reader within a matter of pages. Suzanne Collins makes it clear from the start that several things are going to happen within the Hunger Games: 1) Katniss will take part in the Hunger Games (where would the story be without this? ); 2) that Katniss will survive (the first person narrative makes this a sure bet); 3) Katniss and Peeta are going to fall for each other some way or another. The second point is of greatest importance because this rids the entire novel of any suspense of the survival of Katniss and allows us to pre-empt the happenings within The Hunger Games. I hate to think how emotionally wrenching it could have been to have that suspense, but Collins slashed that idea from the onset. No doubt this will put off some readers. However, it does mean that our attention falls to Peeta, where there was always the possibility of Collins topping him off. I was killing myself in anticipation of his tragic death, and I won’t reveal if it happened or not! The Hunger Games‘ weakest asset by far was Collins’ prose, which is more clumsy than not and gets in the way of the story telling. Generally I don’t mind first person narratives, but hers is somewhat clunky and, as I have mentioned, more than kills the suspense of Katniss’ survival. The way Collins breaks up the novel into periods of time (or lack of breaking these up) also got on my nerves, though I suppose it does emphasise that every day ran into the other in the effort of survival. Still, this shouldn’t have been necessary in the half of the book that wasn’t during the actual games. I read The Hunger Games with high expectations from what I had garnered over the years of hearing people gush over the trilogy. There were times when these were rewarded and when they were disappointing, but as an overall novel The Hunger Games is a very enjoyable YA novel, one that misses excellence by a reasonable margin but is still a great read. So if you have not read this acclaimed trilogy, I still recommend you do- even if you only want to find out what everyone’s talking about. If anything, I am looking forward to the film adaptation immensely- mainly because the flaws of The Hunger Games were technical or stylistic flaws of Collins’ prose and these, of course, won’t really translate to film. May the odds be forever in your favour! What did you think about The Hunger Games? I hadn’t read the Hunger Games before either. Read 2 weeks ago. Found it excellent. Nice review overall. Glad you enjoyed.